Dr. Mahmoud Mohie El Din is the first Vice President of the World Bank. He is responsible for the 2030 Development agenda and United Nations Relations and Partnership. Dr. Mahmoud has a strong academic track rekord. He graduated in Economics and Political Science at Cairo University, Egypt, then he obtained a diploma in Quantitative Development Economics from the University of WARWICK and a Master of Science degree ( Msc.) in Economical Social Policy Analysis. Later he gained his Ph.D in Economics from University of WARWICK. Dr. Mahmoud started his career in Cairo University for more than 32 years now where he reached a professor of Economics and Finance. He also held the position of a board member of the Central Bank of Egypt; in addition of being the Minister of Investment and International Cooperation for more than 6 years. In October 2010 he joined the World Bank Group as a managing director as a Managing Director, and currently he is currently an honorary professor at Durham Business School, besides being the senior vice president of the world bank. Dr. Mahmoud created the ” Sustainability Index ( S&P / EGX ESG ) for listed companies in the Egyptian Stock Exchange “. Moreover he has an extensive list of publications. EK: How would you describe the change that happened to the World bank since its formation? MM: Overlapping crises, from climate change to pandemics, natural disasters to forced displacement, threaten to erase hard-earned development gains. And historic economic changes, in part from technological advancement and disruption, present risks for countries, but also opportunities if they have made the necessary investments in their people, communities, and economies to take advantage of them. The world needs partners that can help meet the challenges of today, while making the investments to prepare for the challenges of tomorrow. There has been a great transformation in the way we do business and what we offer our client countries. By offering financing, knowledge, experience, and a long-term commitment to its country clients, the World Bank is a trusted partner for all its members to help transform economies and advance the 2030 sustainable development agenda. With a mission to end extreme poverty and boost shared prosperity, the World Bank supports its client countries in three priority areas: promoting sustainable, inclusive economic growth; investing more—and more effectively—in people; and building resilience to fragility, shocks, and threats to the global economy. The Bank applies this three-pronged approach across all sectors of development so that countries make the integrated investments that can best help people lift themselves out of poverty. EK: How would you describe its culture? MM: The comparative advantage of the World Bank comes from its powerful combination of country depth and global breadth, public and private sector instruments and relations, multisector knowledge, and the ability to mobilize and leverage financing. The World Bank’s principal institutions—the International Bank for Reconstruction and Development (IBRD) and the International Development Association (IDA)—work in ever-closer coordination with the International Finance Corporation (IFC) and the Multilateral Investment Guarantee Agency (MIGA) to leverage the collective strength of the World Bank Group (WBG) for the benefit of its partner countries. The comparative advantage of the WBG comes from the powerful combination of country depth and global breadth, public and private sector instruments and relationships, multisectoral knowledge, and the ability to mobilize and leverage financing. Collaboration across IBRD, IDA, IFC, and MIGA has grown over time, and spans a range of activities at the regional, country, sector, and thematic levels. World Bank experts are organized across teams of Global Practices, which focus on key technical areas of development, as well as Global Themes, composed of teams working to deliver on cross-cutting corporate priority areas, such as climate change, gender, fragility, infrastructure, public private partnerships, and guarantees. Collaboration across these teams allow for the development of comprehensive solutions for clients. The World Bank Group has made significant progress in aligning its budget to address development priorities, to reinforce selectivity and efficient delivery, and to maintain budget sustainability. It has done so through a combination of revenue expansion and spending containment measures that include completing an Expenditure Review that saved $400 million. The World Bank has also implemented new sustainability principles and budget indicators that allow for administrative expenses to be covered by revenues generated from operations and realigned its budget with strategic priorities. The Bank Group is committed to continued financial sustainability, strategic alignment, and efficiency. MM: Around the world, demand continues to rise for financing, expertise, and innovation. The needs are great—but the costs of failure are simply too high. Our shareholders are helping us meet that challenge with their approval of a historic $13 billion capital increase, which will strengthen the World Bank Group’s ability to reduce poverty, address the most critical challenges of our time, and help our client countries – and their people – reach their highest aspirations. In 2018, the World Bank Group committed nearly $67 billion in financing, investments, and guarantees. In our work around the world, we’re facing overlapping crises such as climate change, conflict, pandemics, natural disasters, and forced displacement. We are simultaneously helping our client countries address immediate crises, build resilience against challenges on the horizon, and make enduring investments to prepare for an uncertain future. We work to achieve our twin goals: to end extreme poverty by 2030, and to boost shared prosperity among the poorest 40 percent around the world. Across the World Bank Group, we are harnessing new technologies and developing financial innovations to drive progress on the three parts of our strategy to get there: accelerate inclusive, sustainable economic growth; build resilience to shocks and threats; and help our client countries invest in their people. EK: How does the World Bank Group work to achieve its twin goals? MM: First, to accelerate inclusive, sustainable economic growth, we need a new vision for financing development—one that helps make the global market system work for everyone and the planet. In a world where achieving the Global Goals will cost trillions every year, but official development assistance is stagnant in the billions, we cannot end poverty without a fundamentally different approach. With the adoption of the Hamburg Principles in July 2017, the G-20 endorsed an approach that we call the Cascade, which will lead to our goal of Maximizing Finance for Development. The World Bank, IFC, and MIGA are working more closely together to create markets and bring private sector solutions in sectors such as infrastructure, agriculture, telecommunications, renewable energy, and affordable housing. Second, to build resilience to shocks and threats—even as we continue developing climate-smart infrastructure and improving response systems—we need innovative financial tools to help poor countries do what wealthy ones have long done: share the risks of crises with global capital markets. This spring, we saw the first impact of the Pandemic Emergency Financing Facility (PEF) with a rapid grant to support the Ebola response surge in the Democratic Republic of Congo. With this facility—and a similar one we are developing to improve responses to and prevent famine—we are finding new ways to help the poorest countries share risks with financial markets, helping break the cycle of panic and neglect that often occurs with crises. Third, to prepare for a future where innovations will only accelerate, we must find new ways to help countries invest more – and more effectively – in their people. The jobs of the future will require specific, complex skills, and human capital will become an increasingly valuable resource. With the Human Capital Project, which we launched this year, we are developing a rigorous and detailed measure of human capital in each country. At the Annual Meetings in Indonesia in October 2018, we unveiled the Human Capital Index, which ranks countries according to how well they are investing in the human capital of the next generation. The ranking puts the issue squarely in front of heads of state and finance ministers so they can accelerate investments in their people and prepare for the economy of the future. EK: How is the World Bank Group supporting client countries to achieve the Sustainable Development Goals? MM: The 2030 Agenda for Sustainable Development, adopted in 2015, was a watershed moment in development and diplomacy. Its declaration to protect people and our planet — and to leave no one behind — brought together nearly every nation on earth to endorse its 17 ambitious Sustainable Development Goals (SDGs) to be achieved by 2030. In July 2015, many of these same stakeholders met in Addis Ababa at the third Financing for Development Conference to discuss how this agenda would be sustainably financed. The World Bank Group participated in the formulation of these global agendas for sustainable development and financing and is already deeply engaged in helping to achieve them. The SDGs are aligned with the World Bank Group’s twin goals to end extreme poverty and to build shared prosperity in a sustainable manner. Our country-led processes with our clients have shown us that countries have a strong desire to achieve the objectives of the 2030 Agenda, and as a result, our support for this work continues to grow. This work is not new to the World Bank Group; it was already part of our DNA as a development institution. Yet the establishment of the global goals has energized our efforts to work with our partners to achieve these ambitious targets. We believe that, working together, we can create a world that is more prosperous, secure, and just. The World Bank Group is working to achieve not only individual SDGs, but also the broader agenda for implementation, including finance and data. EK: What are doing to meet the global targets? We engage with our country partners to help protect the poor and vulnerable, ensure inclusive and accountable service delivery, and improve resilience to economic, environmental, and humanitarian shocks. We work to strengthen the private sector, so that it can create jobs and opportunities. We promote regional cooperation on shared public goods and enable investments in critical infrastructure. And we work with partners to provide assistance in education, health, nutrition, water & sanitation, energy, transport, technology, gender equality, the environment, climate change, and many other sectors. Of course, to meet aggregated global targets, country-level results must be combined with the efforts of other nations. There are a number of daunting challenges to this global agenda — challenges which transcend borders, requiring international cooperation at many levels to address them — including climate change, pandemics, economic shocks, violence and fragility, inequality, lightning-fast changes in technology which disrupt markets, and polarization of our political and social institutions. To overcome these challenges, we need to work in partnership with multilateral organizations, governments, the private sector, civil society, foundations, and other stakeholders at the global, local, and sub-national levels. As a development finance institution, the World Bank Group will continue to play a key role in leveraging and mobilizing investments in both physical and human capital — with the help of the private sector — to spur inclusive and sustainable growth, create good jobs, and improve the quality of people’s lives. Based on our experience in working with partners such as the United Nations to achieve the Millennium Development Goals, we learned there are two other factors critical to success: the availability of quality data (including monitoring and evaluation); and evidence-based implementation which grows from a shared commitment with country partners, and which leverages multi-stakeholder partnerships to deliver results. EK: Africa has always been a forgotten destination, why are all the eyes on it now? MM: Africa has never been forgotten by the World Bank Group and as region it has been our biggest recipient of our International Development Association (IDA), which is the part of the World Bank that helps the world’s poorest countries. IDA is one of the largest sources of assistance for the world’s 75 poorest countries, 39 of which are in Africa, and is the single largest source of donor funds for basic social services in these countries. IDA lends money on concessional terms. This means that IDA credits have a zero or very low interest charge and repayments are stretched over 30 to 38 years, including a 5- to 10-year grace period. IDA also provides grants to countries at risk of debt distress. In addition to concessional loans and grants, IDA provides significant levels of debt relief through the Heavily Indebted Poor Countries (HIPC) Initiative and the Multilateral Debt Relief Initiative (MDRI). Let me add that 18 African countries are fragile and conflict-affected States. They have struggled, or are struggling, through war or political conflict to rebuild themselves and lift their people out of poverty. They are called fragile states, nations with poor health and education, little or no electricity, disorganized or weakened institutions, and in many cases no functioning governments. We know that political conflict is bad for development. It causes great human suffering and forces people to flee their homes and abandon their crops and livelihoods. It vandalizes communities and ruins institutions like healthcare, cutting off access to essential services and leaving workers and breadwinners without jobs and wages. It destroys roads, limiting cross-border and regional trade. And it diminishes hope and motivation, so that the millions of educated African youth who leave high school and university every year looking for jobs are left unemployed and dispirited. The reasons people are fighting are largely economic – uneven access to natural resources such as land and water, too few jobs and persistent poverty. While conflict is bad for development, development is the answer to conflict. Therefore, the World Bank Group strategy for Africa builds on opportunities for growth and poverty reduction to support structural transformation, economic diversification, and inclusion within the new development finance framework. The region is made up of a combination of low, lower-middle, upper-middle, and high-income countries. Africa also has 13 small states, characterised by a small population, limited human capital, and a confined land area. EK: What is the World Bank Group strategy for Africa? Agricultural productivity: There is a continuing need to accelerate progress in boosting agricultural productivity and output in Africa. Supporting smallholders through investment in improved technologies, rural financial services, and better access to markets is vital. Equally important is the push to boost agribusiness investments and improve land and water management by adopting modern irrigation practices, preventing conflicts over water resources and implementing climate-smart agriculture solutions. Affordable and reliable energy: Increasing access to affordable, reliable, and sustainable energy is a primary objective of the Bank’s work in Africa as inadequate electricity supply remains the greatest infrastructure obstacle in Africa. Thanks to the concerted efforts of the WBG, most of the energy generation conducted in Africa is handled by the private sector, and in a clean way. Through the maximizing finance for development (MFD) approach, we have mobilized over $2 billion in private investment in Kenya and nearly a billion in Cameroon so far. Climate Change: Africa’s poor are likely to be hit hardest by climate change, particularly changes in temperature and rainfall patterns. Investing in climate change adaptation techniques and disaster risk management will remain top priority. To build climate resilience, countries will need help to both mitigate and adapt to the impacts of climate change and ensure food security. The Africa Climate Business Plan, presented at COP21, lays out a work program to help on both fronts. Regional integration:Regional integration in Africa remains a critical emphasis of our strategy to improve connectivity, leverage economies of scale, and get collective action by countries to address shared challenges. Urbanization: Integrated urban planning is at the core of our work in Africa, addressing water, sanitation, transport, housing, power and governance, that are vital to making urbanization a true driver of productivity and income growth. High quality human capital:Each year in Africa and for the next decade, 11 million youth will enter the job market. Young Africans must be equipped with the right skills and training. There is still a mismatch between what African students are learning and the skills employers are actually seeking. To help bridge this gap, the Bank has launched initiatives to boost science, technology, engineering and mathematics (STEM) across the region. Mohamed Fakhr Eldeen is currently the CEO of Optima world Egypt. Formerly CEO & founder of “Logos International Egypt”. Mohamed is a Certified Trainer in Change Management Strategies and Techniques from IMD, Lausanne, Switzerland 2005, and a Certified Trainer from Xerox Corporation. Mohamed has a B.Sc. 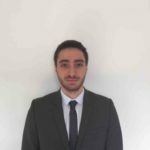 in Civil Engineering from Alexandria University, and has been enrolled in preparing Master of Management Learning & Development MMLD at Euro Arab Management School Granada, Spain. He has thirty two years of progressive hands-on experiences covering Strategic/Tactical Planning & Business Development in Service Quality & HR Management, Human capital Training & Development, Assessment & Execution covering areas of: Change management, Leadership, education, Retail & Corporate Sales, Marketing, Telecom & Delivery Channels, with a specific focus on enhancing Sales & Customer Service Strategy Centric. Mohamed has a wide-spectrum portfolio of Senior Management jigsaw components that interlock together to formulate a strong platform to Lead Organisation & Business Development as well as Total Business Results Management & Execution for different wide range of business enterprises, that experience domain results from smooth management and effective running of different business functions with multinational companies, mainly companies adapting the concept of the “Learning organisation”, “Human Resources Value Recognised and Consultancy Relationship” as well as “Customer Value Added Services”. Can you tell us about the shifting from engineering to the field of business and management? Well you are asking a very deep question as actually what happened about shifting from engineering to sales and business is not only a career change it has been a full paradigm shift, and it happened out of coincidence after I finished my engineering school and graduated I worked for two and half years as an engineer in the Egyptian Army where I did practice technical engineering in some aspects. When I finished my military services, I asked myself is this what I really want; I mean working in the concrete field with all those workers, graphs, and grey-colour environment? The real answer was a big sharp no; I wouldn’t like to live this for the rest of my life. At that time, I didn’t have any clue on how to shift, but by chance when God sends you some signals you must follow them. Later I met a friend who was working for a company in the field of sales, marketing & customer service and he was just chatting with me about my plans at that time as I was done with my military service; my response was that I am looking for a job as an engineer but really, I was not so happy with the technicality of engineering. I like the methodology and the way of thinking I gained from engineering, but I don’t like the technical part. So, he proposed to me that I come and join same company, I will tell you later what’s his company is as its one of the major tycoons. For me to apply for that company as a salesperson I had been shocked and told him that I have never studied business or sales or marketing. He told me that I have what it takes to be a sales person, you are a very social person, extrovert, you have a good connection, and you can do some extra connections, you can join this company and it called “XEROX”. I said what’s XEROX; he told me it’s the biggest worldwide organisation selling documents solutions and at that time I was shocked to find myself lacking some knowledge anyway. In the interview I was hesitated as deep inside I was refusing the change, I was refusing to get out of my pre-known comfort zone. The branch manager I had been interviewed by told me that you are here for the job of sales what can you offer us? I answered him that I knew you want a person with a good connection and PR skills and I am that person. Then I chatted with him for the rest of the interview and at the end he told me “Welcome to Xerox”. So when I went to join the training course of sales, for three months I was telling myself that I have to return to engineering but when I practised sales out of the scientific base they trained me on then I started making some success I found out that I am in the right place, I am a person for business not a person for technical engineering. That’s my story of shifting from engineering to sales and marketing. Moreover, I want to add something as at that time when I quit my job and I had to travel to Cairo as I was living in Alexandria at that time, I was a little bit amazed and puzzled and I didn’t know what to do. So I had the luck to have my father as my mentor; he told me that many successful people and he mentioned some names in the field of press are very successful despite to the fact that they hadn’t study literature or press and he mentioned some glorious name in Egypt so my father told me go and try whatever you think you like and come back if you didn’t like it you can shift to something else. I was lucky to have a mentor in my life that is why I see that every young man and woman needs to have a mentor in his life to help him to take decisions. What about the challenges you have faced and how did you manage to overcome them? The first challenge I had was the shifting of the knowledge frame I had acquired from typical engineering base, columns, ceilings, and concrete to knowing how to sell in a scientific way; that was really challenging as all I was studying was technical and I had nothing to do with PR, Sales, or Marketing. I overcome this challenge by something I advise young people to do which is listening effectively to my trainer and to any one with experience to learn, acquire as much knowledge as you can from your teachers or trainers, and applied what I did learn scientifically and that helped me much to overcome the gap between what I thought I know and what I thought I don’t know. In addition to this an incident had happened to me in the training which proved that learning can happen scientifically and efficiently; a part of the training was technically about the features of copy machines and the trainer kept telling us about the features of machines and I really felt that I don’t understand anything I felt that I want to quit the training and the job and went out of the classroom and my trainer felt that I am not digesting what she explained so she told me to go and copy some stuff with different sizes and jobs too. When I got to the copy room I found myself suddenly recalling what she taught us in the training and start applying what she taught me so that was the first gap between what I thought I knew and what I thought I did know. While working I had some gaps too like applying the sales science I knew, I also had some challenges which small details and I were could overcome this by try and error accompanied by mentors or more senior people coaching. I also overcame this gap by continuous reading and continuous self-development as Stephen covey said as I have to sharpen my own sew and continuous development of my own humble self-kept me always updating and always ahead of my colleagues and my fellows. What also helped me is three things in addition to what I said; first thing was diversifying the field of knowledge I learn I mean reading and everything. Reading about business, technicality, finance, administration, engineering, politics, and even global conditions. So, reading to acquire different diversity of knowledge helped me a lot. The second thing is connecting myself to many people and making PR in different company departments, the company I worked for at the beginning of my career helped me to acquire a lot of knowledge which was beyond my core of business, I have connected with people in the field of HR, sales, finance, operation, and technical service. They gave me a lot of knowledge that broadened my spectrum of intellectual capacity. Third thing is connecting myself with some business and social communities; like the chamber of commerce, German chamber, Canadian chamber, and American chamber. All that stuff helped me to gain some connections, some PR, some business acquaintances. All of this was enveloped by the skill that my parents gave me which is reading; I always read a lot and acquire knowledge. From your own experience; what is your best success recipe and strategy? Well; I do believe there are a lot of diverse aspects to success; I can remember a movie I have seen about 20 years ago which was “Secret to my success” which addressed one part of success which is being an opportunist. In addition to this I do think from my humble opinion is that success is the submission of totally integrated aspects that formulate success, something like six sigma concept, however I would add other factors. The first factor is learning; where it comes from acquiring knowledge from a knowledgeable people or during life incidents. The second thing is the trial under coaching which is an essential part of success. Then; thinking out of the box as for me I used to dream first then go and achieved what I am dreaming of I do remember while I was working in sales I used to dream of approaching specific client with a specific solution or product and everyone thought that it was impossible but I succeeded and I was awarded as being the first person to achieve top salesperson from the company outside the headquarters. Next is the smart hit, you must know where to hit not just hit. Another factor is PR where you must increase your social network and business network and as Philip Kotler said in his books “Marketing is Relationships” marketing is not only your products but also yourself. Also playing in a team is a very important factor besides believing in yourself. Finally; you have to know what the mission or vision of the company you work for and you have to make it your own motto. I think these are the magic recipe for success. What do you think about the youth inclusion in the Egyptian economic development? First let’s talk about the idea of inclusion and integration in itself, you cannot have any sort of movement, change, or development unless you include all the stakeholder of that change. Our Egyptian demography consists mainly of youth; and those young people have inherited and took over the Egyptian economy of the past three decades so if you don’t include them and integrate them in the development plans there will be failure. First way is to get them prepared and that can be done through forums, conferences, trainings, and education to be ready to take over the economical platform in the coming decades. Second way is having them to mirror-image the role of the senior economists and I think that the government is doing a great job now in terms of preparing the youth. Examples are available as the presidential leadership programme. If you don’t prepare them; you will find two bad things. First thing is the negative momentum pulling us back as they refuse to go with the change and the second thing is wrong actions in term of economical knowledge which will take us back. In addition to that we will find something taking place which is very negative that these young people will refuse the actions that are done by elders and will formulate a resistance that will take us away from the development action plan that is being executed in Egypt now. By the way the Egyptian vision is named under 2030 which means they are preparing the youth for year 2030 so the youth by any means will take over their place. Final thing we will use is that we will not get the feedback of our real customers that will take over our economic platform who are “Young people” , so I do think that the government are doing some efforts to include the youth in major activities. Also, if we talk about the integration and inclusion of youth in terms of philosophy and concept itself there are some individuals’ trials in our community that have proved success of inclusion of youth, one of the success stories I know is about the Egyptian Scout & Girl Guide Federation which is part of the Arab Scout Federation and the world Scout bureau which has been working for years now to include and integrate the young leaders to take over the leadership and strategic management of the Egyptian Scout Federation this federation includes almost one million boys and girls. Also, I would love to mention something I observed during working with young people for many years now; a new trend of the youth and we cannot neglect them as they are our customers. The new trend is the start ups and the small micro-businesses accordingly as this is the mindset of the young people we cannot even deny that a major part of our future economical growth will be composed of small and medium enterprises as these young people have the will to start up and they are succeeding in it. And what advice would you give to young entrepreneurs? Well I cannot give an advice as it is a big word, but I can give some guidelines for success. First I say have your vision, have your dream, dream and don’t be afraid of dreaming, and if you dream work to accomplish it, think out of the box, think what others might not be thinking of ; so, my first advice is Dream. Second advice is when you dream you push the walls far from you, break the walls. Third advice is after dreaming and thinking out of the box, take a deep breath, go back and look from a very far and deep eagle-eye perspective and work out on how to achieve that dream in a practical way. Another piece of advice do not refuse and always consider elders opinions, they might say old style wisdom yet the cheapest way to learn is to learn on the cost of others experience, elders made their mistakes and they don’t want you to repeat their same mistake. Also, they must take into their consideration the definition of stupidity. which is doing things every time the same way and expecting different results, so don’t repeat what the others do in the same way. I mean get the benefits of learning and put your own hands to achieve it. Additional advice is don’t be afraid of trying, try, make mistakes, and get the benefits out of it. Work as a team; you cannot succeed alone, have your own labelled idea, persona, style; even if it is different or considered wild or mad just have your own fingerprint. Another advice that might seem a little bit old, but once I read a book about sales and in page 2 there is a quote that said “ Customers like to deal with people they like and trust because they are professional and different” so my advice to young people is be professional do your job up to standard and books so you will be different and people will like to work with you or buy from you if you have something to sell; stick to the values and Good behaviours because still people like well raised up people, being out of the box or wild does not mean being impolite or rude. One very important advice is adopting the concept of quality which means doing things right from the first time and every time and have everything written and follow the recipe and what you promise is delivered 100 % of it. Believe in yourselves, believe in your GOD, believe in capabilities. Globalization is very good but doesn’t mean losing your persona or your own Identity. How do you evaluate the current Investment ground in Egypt? Let me tell you my observations as a business person and sales trainer, I think what is happening now is that we are trying to shift our investment from consumer-based investment to real long term investment in the infrastructure which leads to better economic status and growth in the industry, I mean that investment in Egypt used to be for a while in consumer goods like FMCGs; of course I have nothing against them but what I mean is that they are just consuming goods. So, what we need now is to know where our strength is; I think our strength in this country comes from more than one factor. First factor is the Human Capital which if developed and led the right way will be a great power, we must invest in infrastructure and that’s exactly what the government is doing now. They are investing in electricity, water, new cities, roads, and all that stuff. Assessing our investment Geo-economic map; creating diversity all over Egypt as every governorate has its own strengths and opportunities for investment. We also must work on integrating all these investments opportunities all over Egypt in the main 2030 vision. I think we need to develop our people, know where to invest, how to invest, and know our strengths and work on it. I recommend not doing the investment in things that are not ours. Now we are shifting from economic situation of consuming to real production. So, what is your opinion about the Egyptian sustainable development experience? I think from my humble opinion it is the first time to have a real vision and a master plan for this country. This vision really contains many diverse fronts that we are working on, very integrated yet smart I mean some objectives are very smart, achievable, and measurable. My only concern is that according to the change management theories and concept, there will face some resistance people are not ready to share creating their stake in the GDP, some people are used to get paid without working. We are also facing another problem which the parallel economy is where people are working and not paying taxation and are working in an unorganized way. Anyway, this vision looks to be achievable, realistic, also tough because it contains a part which is letting people work, really work and not just having money without working. I went through the 2030 in every aspect and I think we will achieve it, yet I am focusing on the resistance that we might face. In your opinion; how can the Egyptian regime overcome the change resistance? Let me tell you first where the resistance will come from, scientifically when a change happens in the beginning the population of change is divided into three sectors. Maximum of 25 % of the population is called “early adaptors”, minimum of 25 % of the population is called “resistors”, and 50 % of the population are called “inbetweeners”. The inbetweeners are waiting to see the WIFM; what’s in it for me from this change. Either the benefit of doing that change or the loss of not doing that change. The major vital role of the change steering committee is the will and the continuous process to convince many of those 50% people to join the 25% of early adaptors to formulate the big cluster that will achieve change. Yet at the end I think we will have refusers that will stay like this, unfortunately I have to say this, but they will be distinct, obsolete and they will not be considered in the future population of the change. We must know first why people refuse change where the resistance come from. The reasons are fear of loss, feeling comfortable in their place, not being convinced with the subject of the change, not believing in the steering committee, or even people that are not changers by nature; these are the main reasons of resisting to change and the steering committee must handle every refuser out of his own reason. Yet, we value resistance for some other reasons, because they must know that they are mistaken, they must know that they have to change a little bit to fit more, they might be reasons of raising up some extra questions that helps us to do the change in a better way, or the tactical benefit of showing themselves to know where the resistance is coming from. Every change is not a resistance and every change has got the distinct part of the population. Now let us talk about what is currently happening globally; What do you think about BREXIT? I think in my humble opinion that politics is based on pragmatism which means where your interests comes or goes, you go after it. So, the British people as history proved; they go for the interest of their own country. Now the BREXIT is for the favour of the Britain and not to the other European countries, as they found themselves not having a lot of benefits from the political and economic point of view from being among the European Union, so they are quitting. In my opinion this Brexit will formulate two clusters USA and Britain in one party and the other European Countries on the other party. Germany and France will pay the bill as usual, the English people will refuse to share their part of the bill. Anyway; it is part of the new regime. The European Union might have the will to continue together, so they must again study their benefits, and what every country will add to this European Union. Also, what Britain took away with them during their exist should be compromised by the other countries. I can see also another formula or mirror imaging from this Brexit, which was what QATAR did in quitting the OPEC after 57 years of being a member. I think something is happening now intentionally to break the classical old clusters of this world, we will see in the coming days some counter actions and some corrective actions from the owners of those clusters to rectify their position. What about “Yellow Vests”? Do you think that Globalization is related to them? well the yellow colour is always meant to be an alert colour “take care”, anyway what I say now is unfortunately the European Spring , it is phase two of what was called the Arab Spring as this is a movement of other bigger entities to take care of this mess or this chaos, what I mean that all of these are a bad expressing of anger and I think these yellow vests are moved by some other major movers who are moving them from behind the curtains, I am not sure if they are really expressing anger from the economic situation or from the high cost of living. I think it is an act that was intending to be part of the big plan of “springs” formula or phenomena. Globalization is good; globalization is a mean of crossing the border, but it has a good part and bad part. Good part is like increasing the trade, the bad part is losing your identity. I think each country must have both sides of the coin. The global part in terms of relationships and trading with others, and the other side is the local part where you keep your identity. I do like the Japanese part of Globalization which is exceptionally modern and well related to western world and yet they still keep their Japanese persona and cultural depth. Emad HENIN: Success doesn’t come from money only; however, it comes from effort, dedication, and our passion in what we do. Emad Henin is the founder of GamUp; an organization specialized in Gamification where they have occasional open courses in partnership with Gamification +LTD, UK. 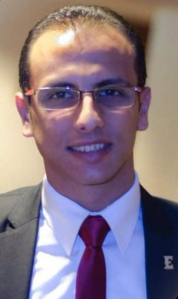 Emad is also a member in the steering committee of GamFed. Gamification refers to work situations where game thinking and game-based tools are used in strategic manner to integrate with existing business process. Emad is also the Human Resources Business Partner for Minapharm Pharmaceutical organizations. Emad have a B.Sc. in Pharmaceutical Sciences from Ain Shams University. He is also accredited with MBA from ESLSCA Business School specializing in Global Management. How did the Egyptian Market respond to the concept of Gamification? I will tell you first how we initially started as it will give you a clear idea about how the market accepted us. At the beginning I have used the game concept inside the company I am working in “Minapharm” as I am working in the Human Resource Department and mainly in “Ramadan” the holy month of Muslims; the energy of employees is weak also the working hours is fewer than the normal days especially there is no break. So, I thought of creating something that will make employees more energetic in that month. So, I created a competition and called it Ramadan Riddles with the Ramadan Theme; I found it being approved by many. I started by sending small questions to the employees where anyone can get it from google then I realized that the questions have to be more deep so I started to customize the riddles to be tailored to “Minapharm” organization so that the employees can feel the relatedness to feel that these questions are only for them the process have changed from a year to another then it changed to be a training program where employees started to participate in a competition for a whole month and at the end they learn a lot from it. This made me realize the power of games the idea of fun theory and that employees enjoy the working environment as here in Egypt it wasn’t taken into consideration, the concept of enjoying work as people perception about someone who is smiling or happy it means that he is not working but I have found the opposite ; as when employees are happy and satisfied in their workplace they achieve better and the communication between the departments gets better. After some readings I realized that what I am doing is an established science called “Gamification” and by 2011 the term GAMIFICATION started to be known worldwide. A global definition was set by practitioners in addition to guidelines, procedures, and methodologies. In Egypt and the middle east, we were late to hear about it. So, I started to communicate with international Gamification practitioners and was able to get contact with “Pete Jenkins”; the founder of Gamification Plus. He was giving courses abroad; so, I introduced to him the idea of working together and I showed to him my achieved projects then we signed a partnership. I have a partner Sandra Abadir and just the two of us do everything. Our main challenge was to convince Mr. Jenkins to give the course under his name, however we convinced him to come to Egypt and give us the course here and he believed in us and in our work. Afterwards; he trusted us to give the course on his behalf. Later; we started to go in the market and spread the idea of professional gamification. Our main objective was to seek differentiation as we are specialized in gamification. In Egypt; there were a confusion between the concept of gamification and the game-based learning approach; so, the market expectation was different from what we are providing so we started to face so rejection but later we found approval from the startups; corporates, and especially the new generations of entrepreneurs. Another challenge was our fees as we are giving a course that is certified from the UK, but people started to know the importance of our product. But we see ourselves going in the right path and the Egyptian market is very promising and full of opportunities. Is Gamification in favor to the Employer or employees? I see it as a win – win situation; the employer won’t do the task unless he sees that is has high ROI “Return on Investments” on the company; the employee won’t engage in the task unless he knows it’s in his favor. So, the equation is that everyone is focused on the objective. What differentiates gamification from just games, badges, and trophies is that we do what we do for the sake of achieving business objective. From the perspective of employers its always business objective, we always try to measure its effect on the ROI, we measure each project outcome before and after gamification. As for employee; it’s for sure when someone is enjoying his work and getting involved in the workplace; it reflects on the productivity and the revenue. So simply it’s a win – win situation and if the equation is unbalanced so it’s an inefficient gamified project that had been implemented. The competition between employees can arouse some unethical behavior, how can the Gamification platform solve that issue? Well Gamification methods are different as it creates a competition without aiming to a monetary or a promotion, but the main objective is making competition fun and effective. So, it makes employee participate in it voluntarily as they reach the state of loving it and willingness to be a part of it. Also, there is a model which we apply, and it’s called “RAMP” which stands for “Relatedness, Autonomy, Mastery, and Purpose” if the employee gets these four factors it will motivate him to participate in Gamification without doing any unethical behavior. Relatedness means that the Gamification program is related to the employee and he perceive it as being a part of him or do social bonds with others and give him the opportunity to socialize with them. These are the socializers; where their priority is to get in contact with others. Next is the Autonomy; which refers to the freedom of choice, the track is flexible for the employees to choose what’s suitable for them. For example; employees can choose their time and topic. So, this Autonomy makes the user interested to participate and makes him feel that he is not forced to be part of that. Then the Mastery; in the program there is a module that the trainee can master a specific skill or can overcome a challenge; it motivates him to participate in the program and this fits more with achievers’ types who are always seeking for challenges. The final prospective is the purpose; as there are type of people who love to do work for a purpose, they are also seeking to benefit themselves, others, or the organization they are working in. so when we provide these factors in the gamification program; it makes the competition attractive and related to the program so employees participate in it ethically, as they are not forced to it. Also, employees feel that they are in safe environment and they know that nothing harmful will happen to them. What are the challenges that you have faced in setting up your idea? The next challenge was setting up the company, the advertising and the marketing campaign, and graphics so as working in human resources department we found out that these aspects are new to our field of expertise so we started to learn about web designing and web developing to start establishing our website and establishing ways to increase our audience; we also did everything ourselves. As my partner started to be very talented in designing so we started to save those expenses and do it ourselves. Then we started to attend events where we met startup corporations and entrepreneurs, so we started to increase our network and we communicated with them on one – to- one meetings, also we did the marketing and sales ourselves and we created the training materials customized to each customer as we are originally trainers and we deliver those trainings. Another challenge was the culture difference between UK and the middle east as we started to tailor the trainings according to the middle east in the same time it had to be with the same content of UK and we had to get approval from the mother company on what we train. One of our main challenge was how to penetrate the market as whether we will target public or private corporations. Another challenge is that we are already employees in other organizations as we are still in the beginning and we cannot sacrifice the safe income now, so we work after working hours and in the weekends and we can stay for months without one day off. How do you deal with competition? When we started our business, we faced two types of competitions. They are the ethical and unethical competition. The ethical competition represents the other certified licensed Gamification providers in the market. As for me I enjoyed this type of competition, it motivates us to do our best; as the idea of being alone in the market doesn’t give any indication of to what extent you are good or not. On the other hand, we also have a collaboration between them and we share the knowledge together. On the contrary comes the unethical competition, as you don’t know where the attack will come from and in which way. Despite that me and my partner are always focused on our work and on our objective and our response and we tend to be very practical in improving ourselves. Does establishing a new business need a large capital or there are other factors more important than money? Money is the main factor to be considered when starting a new business, but it is not the factor that you will start with. First, you must get an idea for the new business, next you will search if the idea is needed in the market, then your qualifications are more important as money can be obtained from different ways. If you don’t own the know- how of the business, money will be useless. As from our experience, we managed to start with no budget, we also have a good reputable name in the market and we relate to worldwide names, succeeded in doing global partnership. People started to search for us, as they wanted to enter the middle east market through us. We started to collaborate with organizations that provide integration services for gamification. Success doesn’t come from money only; however, it comes from effort, dedication, and our passion in what we do. Do you encourage Egyptian youth to be entrepreneurs or just being an employee is better? I want to give them some advice that they must take care of. First, they must have an idea where they believe in it besides thinking about the implementation method. Second; it’s not shameful to be an employee. Everyone must know his skills, qualifications, goals in life and then take the decision. As for me I was scared to take that decision, I had a fear from change but once I took it I found out that I am happier and more satisfied about myself. As now my passion drives me to achieve more as when you do the effort that you should do you generate its outcome. If you are a risktaker, and ready for more adventures so its time to be an entrepreneur. On the other hand; if you don’t want to get out from your comfort zone so be an employee and grow in the organization you are in till you be a director or CEO. How do you perceive the Investment Ground in Egypt? Well I think that in the current time and in the coming years investment in Egypt is very promising, as it is obvious that the government is willing to attract foreign direct investments, facilitate all the processes needed for new business to be established. The spread of one shop office where it contains all the authorities in one place where all the procedures are done smoothly. Moreover, the Egyptian population are very promising for the market needs as Egypt is considered a young country as most of our population are youth where they have the concept of accepting new ideas and technology in an easy way as they are also seeking new ideas and concepts. Also, in Egypt there are communities for startups and entrepreneurs. People are helping each other, a lot of events where you can meet entrepreneurs from different sectors and who are willing to help and coordinate with each other. As recently there is an annual event called “RiseUp” which is very successful for all the entrepreneurs as more than 5000 attendees from many countries attended 2017 version and expect more this year. How do you see the future of “GamUp”? Since I started a dream of making GamUp very large corporation, not just a start up. Our motto was that “Think Big”. In our initial start our target was to serve the MENA region, and we have already extended our services outside Egypt; as we succeeded in conducting many successful workshops – public and corporates- inside Egypt and abroad as well. Eventually we have been shortlisted for global award in international conference GamiCon, Chicago USA, and we participated through workshop in NASAGA 2018 Conference Rochester NY, USA. Now we are competing in a European award in next November in Amsterdam “Outstanding Gamification Rookie”; this award will go to the individual who has joined the industry during the past 12 months and managed to deliver an outstanding project or spread the word about gamification far and wide. Our mission is to boost your business up, enhance your learning process up, and improve your personal life up. We believe in our mission. We dream that we have an impact in Egypt, not just as training courses but for Gamification to reach the macroeconomics and the national projects to be Gamified and we have a lot of ideas concerning that. We are also seeking partnership with more than one sector. Besides the British partnership we have Hungarian partnership for another service. I am also thinking of making GamUp as integrated service for Gamification and Game- based learning in the MENA Region and have several branches and partners in the MENA Region. Il est probable que vous connaissiez déjà Spotify, le service suédois de streaming musical sous la forme d’un logiciel et d’un site internet. Spotify permet l’écoute instantanée de fichier musicaux (hors connexion pour les premium) et permet à l’utilisateur d’acheter ce titre (sur certains morceaux) grâce a des partenariats avec des sites marchands. L’histoire de son créateur et de la création de la société est passionnante. Daniel Ek, né le 21 février à Stockholm, commence très jeune à se découvrir deux passions. A 4 ans il reçoit une guitare pour son anniversaire puis l’année d’après ses parents lui offrent son premier ordinateur. Ces deux évènements de sa vie feront de lui plus tard un milliardaire. Très vite entrepreneur, à 14 ans il crée une entreprise de création de sites internet à petit prix, il devient autonome et gagne 1500 euro par mois, plus que ses deux parents réunis. Deux ans plus tard, en 1998, il décide de tenter sa chance chez Google et se voit refuser le poste pour manque de diplôme. Déterminé il décide de créer un moteur de recherche plus puissant que Google et se dit : « Ça ne doit pas être si compliquer … ». Suite à quoi il entame des études au Royal Institute of Technology à Stockholm, mais quitte la prestigieuse école après quelques semaines. A 23 ans, il revend l’un de ses programmes à une entreprise suédoise et devient millionnaire. Il s’offre alors une vie de luxe et côtoie la « haute » suédoise. Un an plus tard, suite à une dépression, il revend le tout et retourne chez ses parents où il vit dans une cabane en bois. C’est alors que née sont idée Spotify, le streaming musical. Il passe alors deux ans à négocier avec les maisons de disque pour essayer de trouver un compromis. Solution trouvée, les maisons de disques acceptent de céder leur catalogue de titre en échange de part dans la start-up, Spotify est officiellement lancée le 7 octobre 2008. Aujourd’hui Spotify a révolutionné, à travers le monde, la façon d’écouter de la musique. La Société est valorisée à plus de 20 milliards de dollars (sans être bénéficiaire) et Daniel Ek a été sacré l’année dernière « personnalité la plus influente de l’industrie musicale. Khalid GABR: It’s all about competition! Interview mit Mr. Khalid Gabr. Mr. Gabr is the regional director of BFC Bank UK “ EzRemit”, member of BFC group holdings “ BFC Group”. EzRemit is a money transfer product that offers fast, reliable, and cost effective global money transfer services in minutes. EzRemit has an expensive network of over 55000 agent locations where customers can send or receive money to over 40 countries worldwide. Khalid has B.A in commerce from Ain Shams University in Egypt. Moreover; he proceeded his post graduate’s studies in one of France leading business schools “ESLSCA Business School” specializing in “Global Management”. Khalid has been working in the money services industry since 2005, his specialization is the money transfers. EK: Please tell us about your relationship with banks, Do you compete with them or you work together? We don’t compete with banks, as we have mutual benefits together. Banks are our intermediate source of exchanging money. As according to the Egyptian law, money transfer can only be done through banks. EK: What about the challenges you are facing? The Central Bank of Egypt is encouraging money transfers companies and is giving banks the validity to take the decision with comparison to other countries. However; the challenges we are facing lies in the long procedures in banks, technology access, bureaucracy, too many departments involved in the process like compliance, legal, and many other departments, too many documentations. Also some banks have a lack of communication as they are not updated with the other banks in the world. I do suggest that Banks should communicate with correspondents’ banks to get more information about the market and the governmental new rules and regulations. For instance; the taxes and its effect on the amount of transfers. Banks have to increase the payment channels by working as a union. In addition to the lack of marketing internationally of the money transfer services as the blue collars market is having difficulty on dealing with the banks’ products concerning with money transfers. Finally I do suggest the intervention of the monetary policy in Egypt as we really need the basic steps of initiation to make it easier for money transfer clients. EK: What Privileges do you give to your clients ? Account to Credit: Money are transferred directly to the client bank account. Cash to Door: Money is transferred directly to the clients addresses through a courier company managed by the bank. Cash to Cards: Money are transferred to cards that are established with no account base and a KYC “Know Your Customer” application is only done once. Cash to ATM: Cash are transferred into ATM with no cards or accounts. Mobile Services: Money are transferred to a mobile line. EK: Would you tell us more about the regulation authority supervising your line of business? Our company works under the supervision of the Financial Service Authority, Financial Conduct Authority, and the Money Laundry Regulations in the united Kingdom. In Egypt we work under the rules and regulations of The Central Bank of Egypt. Also in Egypt every bank we deal with have its own set of rules. EK: How do you deal with them ? When dealing with the authorities of the UK or Egypt, we have no problems as long as we are abiding to their rules and regulations. However we might face some problems with banks due to several reasons. No centralization in money laundry policy in Egypt; as each bank has its own rules. No centralization on the money transfer reports in Egypt. Also the money transfer business in Egypt needs a lot of attentions as there are a lot of wasted opportunities if it has been efficiently used, investments and economy can be built on it. EK: How do you perceive the Egyptian Economy now in Egypt? There are a lot of encouragements of investment in Egypt by the Egyptian Government specially the (SME’s) small and medium sized Enterprises and start-ups companies. They give total support to new entrepreneurs, and the youth of Egypt are being directed a lot as there are a lot of created opportunities to them. Moreover; the cost of investments is low in comparison to other countries. EK: Has it changed during the previous years? Absolutely; as the concern in the previous years were about the heavy and large investments. As what keeps the economy of a country going is the success of their SME’s business. EK: What would you say to young entrepreneurs? I have been a while in the Ecosystem of Entrepreneurs; the problem lies in both the ecosystem and the entrepreneurs themselves. The main problems of the entrepreneurs lie on the fact that they don’t want to take any risk, as no one needs to compromise. They ignore the aspects of business and they lack marketing and financial knowledge, they also lack the knowledge on how to retain their customers. They also lack the procedures to make their business going. On the other hand; the Ecosystem lacks a lot of aspects as they are seeking publicity and ignoring a lot of aspects. Lack of information which makes it difficult to proceed. Lack of feedback and the quick loss of interest. As I do suggest the availability of a government authority to guide and lead the entrepreneurs through the way. For example; the establishment of a consultancy office for some postponed fees in finance, investment, marketing, and research. Also, the incubators of the Ecosystem should establish a committee to evaluate the entrepreneurs to help them to proceed in aspects like when to start, understand market penetration, market resistance, and enable them to know when is the right time to take decisions. Also, they shouldn’t assume that the entrepreneurs knew every aspect in business. They only have good idea and needs help to accomplish it. For entrepreneurs, I suggest that they should be risk takers and they should believe in their ideas. They also should know the difference between the “Red Ocean “and the “Blue Ocean” and should decide which one they want to position themselves in. It’s all about competition. If you don’t have a competitive edge, do not compete. As no blue ocean lasts forever. You should continuously own a competitive edge, always have a new aspect to introduce to the market. Don’t burn yourself, don’t give all your cards at once. Never ever go to the market based on assumptions. Finally; never go to the market without a second and third plans. 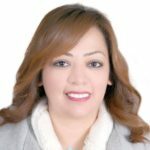 EK: What do you think about financial inclusion in Egypt? “M- Pesa”. By this the people were forced to apply the financial inclusion. EK: What does it need to be more activated in Egypt? I think the best way to activate the financial inclusion is through the implementation of laws, and maintaining the tools to help in achieving it and create substitute channels. Also, giving support to the companies that works in FINTECH. Start-ups and provide the support to them. The financial inclusion should be spread by both the public and private sector. Rules should be applied strictly to face the resistance to the financial inclusion from the market, besides the right tools should be created to face the resistance. EK: What do you think about the application of the KYC in Egypt? There is major bureaucracy in applying the KYC “Know Your Customer”, as institutions in Egypt don’t accept passports, or car License. They only accept ID’s although they contain the same information and they are issued from the same government authority. The KYC channels should increase by creating a union platform system to decrease the bureaucracy; as KYC, can lead products to failure if it wasn’t managed correctly. Although some banks have created a solution which was sending a bank officer to the client addresses and obtain their KYC, but what we need is an implementation of KYC all over Egypt. The KYC can be the main gate for the financial inclusion to be spread all over Egypt. Karl Marx steht wie kaum eine Figur für die Verbindungen, aber auch die Konflikte zwischen der Bundesrepublik Deutschland und der Volksrepublik China. In China als geistiger Vater des Kommunismus verehrt verkörpert sein Name hierzulande Gedankengut, das zu der Ideologie eines sehr dunklen Kapitels der deutschen Geschichte erhoben wurde. Doch inwieweit prägt die Figur von Marx auch das wirtschaftliche Verhältnis zweier Staaten in einer Zeit, in der die Globalisierung ihren Höhepunkt erreicht zu haben scheint? Der rege Wettbewerb zwischen Peking und Berlin ist auch ein Wettbewerb der wirtschaftlichen und politischen Systeme. Auf der einen Seite die Bundesrepublik, das Kraftzentrum Europas, dessen System von der Aufklärung geprägt und dem Glauben an die wirtschaftliche Freiheit genährt wird. Auf der anderen Seite die aufsteigende Weltmacht des fernen Ostens, die neben der militärischen Stärke auch das Prinzip der Soft Power für sich entdeckt und in der die Verantwortung des Einzelnen hinter die Deutungshoheit des Kollektivs zurücktritt. Ein Blick in die Medien erweckt bisweilen den Eindruck, dass die deutsche Volkswirtschaft dem unaufhaltsamen Niedergang geweiht sei, während uns China, und in dessen Windschatten die schnell wachsenden Volkswirtschaften Südostasiens, zusehends überholen. Doch deckt sich dieses Bild mit der Wirklichkeit? In welchen Bereichen hat die Bundesrepublik im direkten Vergleich die Nase vorn, und wie sicher sind diese Vorsprünge? Die Volkswirtschaften der beiden Länder weisen durchaus Ähnlichkeiten auf. So handelt es sich bei beiden um exportorientierte Märkte mit einem vergleichsweise hohen Anteil industrieller Fertigung. Dennoch verfügt Deutschland über eine ganze Reihe spezifischer Standortvorteile, die auch nicht durch Firmenübernahmen exportiert oder egalisiert werden können. So zeichnet sich die Bundesrepublik durch ein hohes Maß an politischer Stabilität, eine gut funktionierende Verwaltung, ein im weltweiten Vergleich herausragendes Maß an Rechts- und Investitionssicherheit und die Nähe zu den deutschen Universitäten und Forschungsgesellschaften aus. Sowohl die deutschen Universitäten als auch die hiesigen Forschungsgesellschaften (Fraunhofer Gesellschaft, Max-Planck-Gesellschaft, etc.) genießen Weltruf. Zu den 100 besten Universitäten der Welt wurden im vergangenen Jahr zehn deutsche Universitäten, jedoch nur zwei chinesische Hochschulen gezählt. Ein solches Wissenschaftscluster zu entwickeln ist eine Aufgabe von Generationen und auch zukünftig ein Standortvorteil der Bundesrepublik, sofern es uns gelingt, die rechtlichen wie steuerlichen Rahmenbedingungen für angewandte Forschung und den Zuzug von ausländischen Forschern attraktiv zu halten. Das Resultat der deutschen Bildungslandschaft, der Hochschulen und des dualen Bildungssystems ist ein hoher Grad der Mitarbeiterqualifikation, die weltweit dritthöchste Anzahl von Patentanmeldungen und die Position als führender europäischer Technologielieferant. Insbesondere als Standort für wissensintensive Präzisionsfertigung hat Deutschland daher eine weltweite Spitzenposition inne. Zudem nimmt Deutschland im internationalen Korruptionsindex regelmäßig einen der vorderen Plätze ein, so im vergangenen Jahr Rang 12 von 180 untersuchten Staaten, während sich China Rang 77 mit Serbien, Suriname und Trinidad und Tobago teilen muss. Der Zugang zum europäischen Wirtschaftsraum, die hohen Qualitätsstandards und nicht zuletzt die hohe Lebensqualität für die Angestellten sind weitere Faktoren, die der deutschen Volkswirtschaft einen Vorteil gegenüber China verschaffen. Auch aus der Sicht der Verkehrspolitik ist Deutschland gut aufgestellt: Die Bundesrepublik profitiert von der zentralen Lage im Herzen Europas und den im internationalen Vergleich herausragend ausgebauten Fernverkehrsnetzen. Im Gegensatz zur Volksrepublik, dem flächenmäßig viertgrößten Land der Erde, kann in der Regel in wenigen Stunden jeder Ort in Deutschland und viele Orte innerhalb Europas erreicht werden. Deutschland nutzt seine geographische Lage erfolgreich und positioniert sich als Umschlagplatz für den weltweiten Schiffsverkehr – insbesondere aus dem asiatischen Raum, als Drehschreibe für kontinentale und interkontinentale Flugverbindungen und mit seinem Straßen- und Schienennetz als Bindeglied im europäischen Binnenmarkt zwischen den Volkswirtschaften Mittel-, Ost- und Südeuropas. Im städtischen und halbstädtischen Raum verfügt Deutschland zudem über ein hervorragendes System des öffentlichen Nahverkehrs. Eine intakte Verkehrsinfrastruktur ist schlussendlich das Fundament für Mobilität, Produktion und Handel, auf die transportintensive Branchen wie die chemische oder die Automobilindustrie angewiesen sind. Trotz der hervorragenden Ausgangssituation steht auch Deutschland vor einer Reihe von Herausforderungen, die die Bundesregierung im jüngsten Koalitionsvertrag auch entsprechend adressiert hat und bereits angeht. Zu den größten Herausforderungen zähle ich insbesondere den demografischen Wandel und die Vorbereitung des Bildungs- und Arbeitsmarktes auf die Digitalisierung. Doch auch dem Erhalt des Verkehrswegenetzes, der Beschleunigung von Planungs- und Genehmigungsprozessen, der Vereinfachung des Steuersystems und einer nachhaltige Senkung der Energiekosten wird eine besondere Bedeutung zukommen. Es wird darum gehen, sich sowohl für Start-Ups als auch für Zukunftsbranchen wie die Biotechnologie, die Nanotechnologie und die Entwicklung der künstlichen Intelligenz als attraktiver Standort vor anderen Märkten, einschließlich China, zu platzieren. Chinas Stärke speist sich aus seiner Größe. Die Volksrepublik verfügt mit einer Bevölkerung von 1,4 Mrd. Menschen über den größten Binnenmarkt der Erde. Die junge und erfolgshungrige Bevölkerung produziert eine Binnennachfrage, die für jedes exportorientierte Unternehmen Grund genug ist, die weitreichenden Zugeständnisse an den chinesischen Staat zu akzeptieren. Auch wenn Indien die Volksrepublik China in Kürze als bevölkerungsreichster Staat der Erde ablösen wird, wird sich an der Dominanz des chinesischen Binnenmarktes wenig ändern, solange das kaufkraftbereinigte BIP pro Kopf der Chinesen, für das Jahr 2018 auf 18.000 US-Dollar geschätzt, den ausländischen Unternehmen ganz andere Verkaufserfolge verspricht als die Nachfrage aus dem indischen Raum (7.700 US-Dollar). Das immense Angebot an Arbeitskräften sorgt dafür, dass China bei industrieller Massenfertigung mit geringem Individualisierungsgrad über komparative Vorteile verfügt, sofern sich die Spielregeln nicht ändern. Doch genau das könnte eintreten. Sobald auch kleinteilige Fertigungsprozesse profitabel automatisiert werden können, verliert der Zugang zu billigen Arbeitskräften an Bedeutung und die komparativen Vorteile schwinden. Da auch die Löhne in den Schwellenländern schneller wachsen als in Deutschland, nehmen auch die Personalkostenvorteile im Ausland ab und der Standort Deutschland gewinnt im Hinblick auf die Lohnstückkosten an Attraktivität. In beiden Fällen spielen die Zeit und der technische Fortschritt für und nicht gegen Deutschland. Dass die Volksrepublik ihren Status als Werkbank der Welt bedroht sieht, zeigt sich in dem Nachdruck, mit dem sie Robotik-Know-How in das eigene Land holen möchte, wie der Kauf des deutschen Robotikherstellers Kuka oder die Verlagerung der Robotik-Abteilung von Siemens nach China belegen. Wer in diesem wirtschaftlichen Duell auf lange Sicht als Sieger hervorgehen wird, ist noch nicht abzusehen. Doch deutlich abzusehen ist, dass nicht schiere Größe das entscheidende Kriterium sein wird, sondern strategisch intelligente Positionierungen, Wissen und Fertigkeiten, kurz Know-How. Der Rohstoff für dieses Know-How sind Daten. Um sie zu schöpfen, werden die eigentlichen Werkzeuge, die über den Wohlstand der kommenden Generationen entscheiden, benötigt: Patente, Lizenzen und Algorithmen. Wer sie besitzt, kann auch in einer globalisierten, automatisierten Welt und unabhängig von seiner eigenen Größe Wertschöpfung generieren. Um sie geht es dem chinesischen Staat bei den Versuchen, sich in westliche Infrastrukturen einzukaufen. Wie die Volksrepublik ist Deutschland eine Volkswirtschaft mit einem vergleichsweise hohen Anteil industrieller Wertschöpfung. Daher ist Deutschland, insbesondere der deutsche Mittelstand, in besonderer Weise attraktiv für chinesische Investoren. Und dieses Know-How muss von Deutschland entschieden verteidigt werden, selbst wenn dies vorübergehende Handelseinbußen zur Folge hat. Deutschland hat als Reaktion auf derartige Befürchtungen im Juli 2017 eine Anpassung der Außenwirtschaftsverordnung vorgenommen und in Brüssel zudem auf einen gemeinsamen europäischen Rahmen zur Prüfung von Investitionen aus Nicht-EU-Staaten gedrängt. 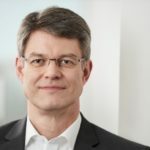 Es war vorgesehen, dass bei Investitionen in kritische Infrastrukturen, insbesondere in die Betreiber von Energie- und Telekommunikationsnetzen und in Robotik-Anbieter, eine Prüfung der Mitgliedstaaten stattfinden muss und auch der EU-Kommission ein Mitspracherecht eingeräumt wird. Bedauerlicherweise wurde das vorgeschlagene ‚Investitionsscreening‘ durch EU-Länder wie Griechenland, die von den chinesischen Investitionen am meisten profitieren, verwässert, sodass im aktuellen Entwurf nun lediglich eine freiwillige Prüfung vorgesehen ist. Für einen Abgesang auf Deutschland ist es zu früh. Auch wenn der internationale Konkurrenzdruck für den Standort Deutschland steigen wird, ist die deutsche Volkswirtschaft für die Zukunft gut aufgestellt. Doch nur in einem geregelten internationalen Handels- und Wirtschaftsumfeld, in dem nicht das Recht des Stärkeren gilt, kann Deutschland seine Vorteile auch in Zukunft ausspielen. Der Volksrepublik ist dies mehr als bewusst und daher wenig daran gelegen, dass für alle Akteure dieselben Spielregeln gelten. An dieser Stelle wird aus dem wirtschaftlichen Wettbewerb ein Kräftemessen der politischen Strategien. China wird auch weiterhin versuchen, die Attraktivität des eigenen Binnenmarktes zu nutzen, um bei seinen Partnern die eigenen Vorstellungen durchzusetzen. Die Wahrung der europäischen Interessen wird daher nur möglich sein, wenn Europa endlich mit einer Stimme spricht und den chinesischen Partnern klarmacht, dass es nicht die politische Steuerung der Wirtschaft und Gesellschaft, sondern der freie Handel und der von Marx so verhasste Kapitalismus waren, die China erst in die Lage versetzt haben, zu den Vereinigten Staaten als letzte verbliebene Supermacht aufzurücken. Avant de commencer, parlez-moi de vous (formation, ancien emploi) ? Bien sûr! Alors, j’ai toujours eu un parcours d’entrepreneur, qui s’est diversiﬁé au cours de ma carrière. J’ai monté ma première boite, un site de minitel pour étudiant·es indécis·es, lorsque je passais mon bac, car je ne savais pas vraiment vers quelle ﬁlière de formation me diriger. J’ai ensuite eu différentes expériences entrepreneuriales dont un business familial, qui consistait à monter des lieux pour accueillir des séminaires d’entreprise favorables au travail d’équipe, aux team buildings, aux relations interpersonnelles et humaines. Quelque temps après, j’ai monté un cabinet de conseil en stratégie opérationnelle qui accompagnait des grands groupes dans l’alignement de leur stratégie immobilière et globale en prenant notamment en compte l’aménagement de l’espace par rapport aux valeurs et cultures de l’entreprise… soit comment favoriser le bien-être d’une équipe au sein de son lieu de travail. J’ai eu la chance de revendre mes parts dans ce cabinet dans de bonnes conditions, en 2007. – Vous avez lancé votre application, Ourcompanyapp, d’où vous vient cette idée ? – Pouvez-vous nous dire en quelques mots son principe de fonctionnement ? OurCompany est une application qui permet à tout·e salarié·e de s’exprimer de façon anonyme (particulièrement de renseigner son humeur et son état de bien-être) et d‘échanger sur les problèmes concrets liés à son environnement de travail sur des forums privés ou ouverts (anonymement ou pas). Le but: libérer sa parole au sein de son organisation. Coté entreprise, un tableau de bord web permet aux responsables d’administrer leurs propres questions et d’avoir une vision ﬁne et en temps réel du climat de travail par métier, implantation géographique, service… tout en respectant l’anonymat des salarié·es, aﬁn de mesurer en temps réel l’acceptation (ou le rejet) des plans de transformation, de pouvoir capitaliser sur les best practices et agir au plus vite pour accompagner les équipes en difﬁculté. – Quel est l‘impact ou la valeur ajoutée que votre application peut avoir sur le management. Notre application a plusieurs impacts sur le management. Premièrement, notre démarche est bottom up. Nous revendiquons une acceptation de l’horizontalité en libérant la parole des salarié·es, qui peuvent s’exprimer anonymement si besoin et être entendu·e par tous·tes. Ainsi, notre application représente le tiers de conﬁance et le porte voix de ce que vivent, pensent et peuvent proposer les salarié·es tant pour lever des irritants que pour suggérer des idées visant à améliorer le bien-être au travail mais aussi le fonctionnement global de l’entreprise. OurCompany permet de mettre l‘intelligence collective au service d’actions concrètes d’amélioration du bien-être au travail. Cela contribue à créer une dynamique très forte pour le management. Deuxièmement, grâce à l’accès au tableau de bord évoqué précédemment, le manager s’engage dans une démarche de co-développement, lui permettant de pouvoir progresser, partager avec ses pair·es et ainsi améliorer le bien-être en entreprise. De plus, il peut administrer en temps réel toutes les questions relatives à son activité (concernant par exemple le degré d’adhésion à un plan stratégique…), soit à l’ensemble des salarié·es, ou alors juste à son équipe, (il existe un grand choix d’options). Ainsi cet outil lui permet d’échanger avec ses salarié·es, et de favoriser la QVT. Or, il est évident qu’il existe une corrélation forte entre bien-être au travail et performances de l’entreprise. En écho au concept de symétrie des attentions, J.W. Marriott a dit « Si vous prenez soin de vos salariés, ils prendront soin de votre entreprise. ». Des salarié·es heureux·ses et engagé·es sont plus performant·es, et apportent ainsi, outre une baisse de l’absentéisme et une hausse de l’engagement, de réels gains pour l’entreprise en termes de satisfaction client. – Dans quel secteur de métier voyez-vous le plus de potentiel ? Je ne pense pas qu’il y ai de secteurs de métiers avec plus ou moins de potentiel, car toutes les entreprises sont aujourd’hui confrontées à des enjeux extrêmement forts de transformation: vagues d’externalisation, de digitalisation, arrivée de l’IA… Et OurCompany accompagne ces transformations au sein de tous les secteurs, autour d’une démarche horizontale et bottom-up, représentant une condition nécessaire de la réussite de ces transformations. On a néanmoins constaté que la fonction publique représente un secteur s’insérant dans une dynamique de transformation extrêmement forte, et qu’OurCompany agit ainsi dans ces secteurs comme un soutien très puissant. De plus, toutes les entreprises de service à la personne, qui sont en contact direct avec leurs clients, représentent un secteur au sein duquel le concept de symétrie des attentions joue un rôle fort et où OurCompany se place alors comme un outil indispensable et garant de toutes ces transformations. Mais encore une fois, nos clients viennent de tous les secteurs, peu importe leur taille (pme, grand groupe…) ou leur activité ! Et nous ne sommes certainement pas uniquement réservé aux cols blancs!!! – Y a-t-il des opposants ou des sceptiques ? – la transparence: le principe de publicité d’OurCompany concernant l’indice de bien-être en effraye plus d’un (peur de perdre en réputation marque employeur). – l’angoisse concernant la gestion de l’avis salarié, soit une peur paradoxale des salarié·es et de la libération de leur parole, ressentie par les managers, alors même que l’entreprise ne peut se passer d’eux pour réussir. – Comment voyez-vous l’avenir d’Ourcompanyapp ? Au regard de la dynamique forte qui existait déjà un an après le lancement public (avec plus de 35000 salarié·es ayant téléchargé l’app et plus de 20 entreprises clientes) et l’émergence d’un mouvement sociétal vers le bien-être au travail qui nous porte, le next step serait d’atteindre plus de 100 000 utilisateurs et plus de 100 entreprises clientes. De plus, nous espérons faire nos premiers pas vers l’internationalisation d’ici ﬁn 2018. Et bien sûr, à terme, notre ambition est de devenir l’indice mondial, en temps réel, du bien être de toutes les entreprises et organisations. – Être entrepreneur en France : facile ou parcours du combattant ? Pour moi, être entrepreneur en France constitue un réel bonheur pour plein de raisons. Tout d’abord grâce à une administration qui est devenu beaucoup plus souple et réactive, mais aussi grâce à un soutien de la BPI aux start-up qui est unique au monde. Enﬁn grâce au développement d’un écosystème très favorable au sein de la STATION F, grâce aux synergies entre start-up, des prises d’initiatives incroyables, etc. – Un mot pour un investisseur qui cherche à investir ? OurCompany bénéﬁcie d’un positionnent unique, et d’une vision B2C2B très singulière. Le bien-être au travail constitue “LA“ nouvelle revendication sociétale du moment, autant en tant que salarié·e qu’en tant que citoyen·ne. De plus, nous bénéﬁcions d’un marché immensément vaste puisque nous nous adressons à tous les salarié·es du monde. Certes, nous avons encore beaucoup de challenges à relever, mais il est clair que nous disposons d’un avantage concurrentiel indéniablement fort, et du bon “time to market“ pour devenir un leader mondial. Selon nous il n’y pas de bon ou mauvais outil dans l’absolu, seulement des intentions et des usages. Notre app ne sera jamais un système de notation des individus, entre eux, quêtant l’approbation sociale. Pour quoi faire ? : si la porte d’entrée de la démarche est bien la notation de son vécu au travail, l’enjeu d’OurCompany n’est pas seulement de collecter des résultats : elle crée une dynamique interne profondément collaborative et responsabilisante, tournée vers l’amélioration constante de l’épanouissement des collaborateurs et collaboratrices. Notre démarche s’ancre ﬁnalement moins sur la généralisation de la quête d’image sans défaut, vers l’accès à des privilèges différenciés, que sur la mise en capacité de chacun·e, à son niveau et par son expression, de devenir suggérant voire moteur dans l’évolution des conditions de travail collectives. Jean-Paul BETBEZE: Aucune économie n’est hors sol! Jean-Paul Betbeze est Professeur agrégé des Facultés de Sciences économiques, HEC, est actuellement président de Betbeze Conseil SAS et Economic Advisor de Deloitte SA. Il a également été Chef économiste, directeur des études économiques de Crédit Agricole SA jusqu’en 2012 et membre de son Comité exécutif. Membre du Conseil d’Analyse économique auprès du Premier ministre, membre du Comité économique de la nation auprès du Ministre de l’économie et des finances pendant de nombreuses années, il a été également membre du Bureau du CNIS. Il a notamment publié en 2017 „La France, malade imaginaire?“ aux Editions Economica et en 2016 „La Guerre des Mondialisations“ chez le même éditeur. Auparavant, il a écrit „Crise une chance pour la France“ (2009); „Crise : par ici la sortie“ (2010) ; „La France à quitte ou double“ (2011); „100 jours pour défaire ou refaire la France“ aux PUF (2012) et, en mars 2013: „Si ça nous arrivait demain“… chez Plon. Il publie sur son site internet www.betbezeconseil.com chaque dimanche une lettre. L’interview avec le Prof. Betbeze a été réalisé par (A-Z): Bernd Oliver BUEHLER (BB), Samir ER-RAJI (SE), Pape FAYE (PF), Ismael HAJJI (IH), Hugo KAISER (HK), Engy KHALIFA (EK), Antoine NODET (AN), Christophe RAMDAME (CR), Jean-Richard NIAGO (JNR) et Kevin ROMANTEAU (KR). CR: Dans votre livre „2012: 100 jours pour défaire ou refaire la France“ la situation française a bien évolué. Mais dans quel sens? JPB: Nous vivons une sortie de crise très complexe, non seulement parce qu’il s’agit de corriger la crise des subprimes qui a fragilisé la finance mondiale, mais surtout parce que nous entrons dans une nouvelle ère de révolution industrielle, celle de la communication, de l’Intelligence artificielle désormais. La France avance dans ce nouveau monde avec beaucoup à changer, des firmes souvent de trop faible taille et de rentabilité insuffisante. C’est donc très compliqué, économiquement, financièrement, technologiquement, sociologiquement et politiquement. CR: Il y a plus de croissance et d’emploi. JPB: Certes, mais nous assistons à une bipolarisation entre experts et emplois de proximité et de faible qualification, au détriment des emplois intermédiaires. BB: Est-ce qu’il n’y a pas de moyens pour préserver les emplois intermédiaires? JPB: Les emplois intermédiaires actuels impliquent bien plus de formation aux nouvelles technologies meilleure utilisations des applications, hausse de la productivité…. mais ne pourront tous être sauvés. En même temps, de nouvelles activités naissent pour améliorer les organisations actuelles, avec les startups, et aussi dans le domaine des services à la personne. Nous sommes des sociétés vieillissantes. Il faut équiper les logements, suivre et former les personnes qui vont y vivre, et offrir de nouveaux services high tech. IH: Est-ce que le chômage de masse reste une fatalité? JPB: Il y a un terrible contraste entre ce qui se passe aux États-Unis et en Europe. Là-bas, la mobilité est plus forte et sans doute aussi la formation ou l’auto-formation. Nous sommes aussi en retard dans les nouveaux services. Il ne s’agit pas de faire baisser les salaires mais de faire baisser les charges et les impôts, par une modernisation et une simplification des structures publiques qui, bien souvent, datent. La fatalité, c’est quand on ne fait rien. BB: Quelle est votre réponse à la digitalisation et la robotisation? JPB: Formation, formations, formation et innovations pour répondre aux nouveaux besoins. Les robots ne sont pas seulement des choses qui produisent, mais des logiciels que gèrent, commandent, surveillent, optimisent… sans compter le domaine immense de l’intelligence artificielle! CR: Dans votre “La guerre des mondialisations” vous parlez aussi de la Chine. Que pensez-vous de son économie? JPB: Ce livre décrit assez bien ce qui se passe, avec un Chine qui veut devenir leader des BRICS et des émergents, et à crédit désormais! Il a bien vieilli! Et maintenant, la Chine entre dans un jeu dialectique avec Trump! CR: Est-ce que on peut concevoir à une bulle pour un pays? CR: Quel regard portez-vous sur l’Economie allemande? JPB: Elle continue d’avancer, ses forces industrielles étant concurrencées par la Chine pour l’essentiel, sachant que des questions montent de la part des USA, en liaison avec certaines paroles de Donald Trump sur son excédent commercial avec les États-Unis. Mais, pour l’heure, le problème majeur est celui du manque de main-d’œuvre qualifiée. CR: Et si on devrait comparer avec la France quel bilan en tirez-vous? JPB: L’Allemagne a une stratégie. CR: Quel est votre bilan des premiers actes du gouvernement Macron? JPB: Positif, compte tenu des retards accumulés et des manques de choix clairs, la France est affaiblie dans la concurrence mondiale, chamboulée par la révolution industrielle en cours. Il y a donc beaucoup de chantiers interdépendants «en même temps». CR: Quels sont pour vous les prochaines étapes nécessaires de la politique française? JPB: A mon avis expliquer la révolution industrielle en cours, ce qui se passe et ce qu’il faut faire pour réussir. Ceci implique partout des formations, à l’école, dans les TPE, PME, services de proximité, qui ne sont pas préparés. C’est la base qui doit bouger, en fonction des nouvelles technologies d’information et de communication. CR: Quel sera l’avenir du continent africain? JPB: Son avenir dépendra de la façon dont il gère sa démographie: c’est le seul continent sans transition démographique, c’est lui qui assurera l’essentiel de la croissance démographique du monde. Il est exposé à la révolution en cours, plus au réchauffement climatique et à des crises hydriques. En cas de crises, des migrations d’ampleur sont à attendre: d’où l’importance décisive de les prévenir. EK: La Banque Centrale de l’Argentine vient de passer les taux d’intérêt à 40%. Quelle est votre analyse de la situation? JPB: 50 milliards de dollars de crédits demandés au FMI: le creusement du déficit courant (30 milliards de $), l’importance du déficit budgétaire (7% du PIB) et de la dette publique (53% du PIB) ont emporté le peso. La Banque centrale argentine, malgré une hausse des taux d’intérêt à 40%, ne pouvait résister à une spéculation qui avait consommé 10% de ses réserves en quelques jours. L’Argentine cherche une ligne de crédit flexible de 50 milliards de dollars auprès du FMI, de façon à restaurer la confiance. Elle devrait l’obtenir. Notons que des tensions sont également présentes en Turquie. JNR: Est-ce que l’inflation reste pour vous un moyen légitime dans les outils du secteur financier? JPB: L’inflation est partout un objectif de politique monétaire, donc de polarisation des anticipations de salaires, en fait. EK: L’économie de l’état de Californie est devenue maintenant la 5ième économie du monde devant la Grande Bretagne. Qu’est-ce que nous pouvons en apprendre en termes de croissance? JPB: Que la révolution industrielle en cours polarise les richesses en termes de valeur ajoutée, sachant que les portables sont largement faits en Chine et à Taïwan et les codes écrits en Inde! EK: Une étude la Citi prévoit que les USA sont en train de devenir le premier exportateur de pétrole dans le monde. Est-ce le monde à l’envers? JPB: Pas encore: 2030 selon certaines études, et le pétrole n’est plus ce qu’il était! CR: Le taux de chômage aux USA vient de tomber à 3,9%. Est-ce un réel succès? JPB: C’est l’effet de la politique monétaire, dans une économie assez fermée (X/PIB = 11%). Mais les salaires et l’inflation suivent, donc le dollar. BB: Certains analystes veulent attribuer ce chiffre à la politique du président Obama. Combien de «politique» y a-t-il dans les analyses économiques? JPB: Attention à ne pas trop politiser et psychologiser: l’essentiel dépend de la polarisation des anticipations. BB: Et combien d’économique dans les analyses politiques? CR: Etes-vous keynésien ou libéral? JPB: Keynes était membre du parti libéral. CR: C’est vrai, mais à l’heure actuelle les libéraux d’aujourd’hui sont plus vraiment keynésiens, mais “libre marché”. Jusqu’à quel degré les forces économiques sont vraiment libres ? Jusqu’à quel degré sont-elles restreintes ? JPB: La base du libéralisme, c’est reconnaitre que l’on ne connaît pas les effets globaux des choix de chacun. C’est donc parier qu’il vaut mieux laisser faire, dans un contexte légal bien sûr. BB: Dans les Sciences Economiques à la française, Keynes a une place incontournable. Est-ce bon ou mauvais? JPB: Par bonheur, on lit des travaux plus récents et le débat international est très riche! CR: Quel sont pour vous les bons et les mauvais économistes? JPB: Un mauvais économiste est celui qui ne part pas des faits et du monde tel qu’il devient : révolution technologique et nouvelles richesses des nations. Inutile de donner des noms, tout le monde peut se dire économiste, à la différence des médecins ou des architectes! JNR: Qui parmi les économistes vous a inspiré le plus? CR: Pourquoi avoir choisi ce métier? JPB: Parce tout change tout le temps ! BB: C’est actuellement le 200ième anniversaire de Karl Marx? Est-ce un événement à fêter? JPB: Les gens sont libres: l’essentiel est de le lire! IH: Est-ce que Marx est de retour ou est-ce qu’il n’a jamais été absent? JPB: Aucune économie n’est hors sol! IH: Qu’en est-il de la question de la justice sociale? CR: Que pensez-vous de l’économiste française Thomas Piketty? JPB: La question des inégalités est centrale, même si ce n’est pas celle dont il parle. IH: Et de l’économiste américain Paul Krugman? JPB: Ce qui m’intéresse ce sont les travaux sur l’Intelligence artificielle. BB: Dans un article intitulé “The Economic Fallout” paru dans le New York Times le jour après l’élection de Donald Trump Paul Krugman prévoyait un désastre pour l’économie américaine et les marchés financiers. Sa prévision était que jamais les marchés américains allait se rétablir (“If the question is when markets will recover, a first-pass answer is never”). Quelle conclusion en tirez-vous? JPB: L’histoire n’est pas écrite, et on ne peut confondre ce que l’on prévoit avec ce que l’on souhaite, ou craint! IH: Krugman, un prix noble de l’économie c’est déjà trompé dans son analyse du futur de l’économie américaine sous Donald Trump. Vous avez autant le droit à l’erreur que lui. Quel est votre avis sur la situation économique aux Etats-Unis sous Donald Trump? Est-ce qu’il n’y a que du mauvais dans sa politique? JPB: En tout cas, elle n‘est pas sans risque. Le 3 mai 2018 1 100 économistes, dont 14 Prix Nobel, écrivent une lettre au Président Trump et au Congrès pour les avertir du risque majeur qu’est, pour eux, la montée des droits de douane et du protectionnisme – autrement dit la politique de Donald Trump. Ils se réfèrent, dans leur lettre, à une autre, envoyée en 1930 par 1 028 économistes. Ils alertaient alors sur les risques des hausses de tarifs douaniers que comportait le Smoot-Hawley Act. Pas écoutés, une bataille des échanges en résulta. Elle réduisit les échanges internationaux, la croissance, et ce fut 1929. Les économistes de 2018 citent ceux de 1930. «Augmenter les taxes de protection serait une erreur. Ceci augmenterait, en général, les prix que les consommateurs devraient acquitter… Nos exportations vont souffrir. Les pays ne peuvent nous acheter de manière permanente s’il ne leur est pas permis de nous vendre… Une guerre des droits de douane n’est pas un bon terrain pour développer la paix dans le monde». La même logique récessive se mettrait en place, mais en plus grave: «le commerce est aujourd’hui significativement plus important pour notre économie». Allons-nous faire pire qu’en 29, sous la houlette de Donald Trump? La sortie américaine de l’accord commercial transpacifique, les menaces américaines sur l’Alena (Mexique et Canada sommés de réduire leur excédent commercial vis-à-vis des États-Unis), les demandes américaines d’échanges équilibrés avec les États-Unis (reciprocal en anglais trumpien), notamment avec l’Allemagne et surtout la Chine vont-elles inquiéter plus, faire investir et échanger moins, antagoniser les relations? Le commerce est-il «significativement plus important pour notre économie» qu’en 1930? Oui quand on voit les allers-retours de composants pour construire une automobile ou le ballet de sous-traitants pour créer un téléphone portable. La complexité, donc la fragilité, des supply chains saute aux yeux. Notre monde est plus interdépendant que jamais, donc plus sensible que jamais. Le conflit douanier qui commence sur l’acier et l’aluminium, avec la menace américaine d’augmenter de 25% les taxes à l’importation, est dangereux. D’autant qu’il se complète et s’aggrave avec la Chine. Pour l’Europe, on parle d’un délai (de grâce?) d’un mois. Pour la Russie, un accommodement partiel pourrait naître, le propriétaire majoritaire de Rusal, premier producteur mondial d’aluminium, ayant «accepté» de ne plus l’être – mais les stigmates vont demeurer. Les demandes vis-à-vis de la Chine sont triples: augmentation des droits de douane sur certains produits (aluminium et acier) pour diminuer les exports, baisse forte et rapide du déficit américain (deux ans pour le réduire de 200 milliards), «vraie protection des droits de propriété» ! Des puces américaines ne seraient plus exportées pour équiper les portables chinois. Huawei et ZTE ne pourraient plus vendre sur le territoire américain. Les autorités chinoises discutent. Mais les importations chinoises de soja américain seraient prévues en baisse, représailles qui ne sont pas de nature à réduire l’excédent chinois! Et que va-t-il donc se passer avec l’Iran? Surtout, la montagne de la dette menace partout, suite à ces taux d’intérêt si bas pour sortir au plus vite de la Grande récession de 2008 et soutenir les bourses. Aux Etats-Unis, en Europe et en Chine, la dette dépasse celle d’avant crise. Le pire, c’est la pénurie de dollars qui menace les pays émergents. Que feront les entreprises trop endettées en dollars, donc en monnaie étrangère pour elles, au moment où les taux courts et longs américains vont monter ? En Argentine, le taux d’intérêt à court terme est passé à 40% le 4 mai (+6,75%), troisième hausse de la semaine, pour respecter (dit la banque centrale) l’objectif d’inflation à 15% (elle est à 25,6%), en fait pour tenir le change. Mais pas assez de réserves et le pays demande 50 milliards de dollars au FMI. La même question va venir sur la Turquie dont la livre a perdu6% en une semaine face au dollar et la bourse 20% depuis janvier, en attendant le Brésil. Et après? Le risque Trump est triple: «un risque à la 29», économique, par la baisse des échanges qui pèsera sur la croissance, «un risque à la thaïlandaise, comme en 1997», monétaire, quand les entreprises doivent s’endetter plus cher, puis rembourser une dette en dollars plus chers, plus «une crise trumpienne», politique, pour savoir qui dirigera ce «drôle» de monde. IH: Basé sur votre expérience: jusqu’à quel degré le temps est un facteur important dans les analyses? JPB: Décisif contre tenu des interdépendances. IH: Et comment avez-vous vu changer vos propres analyses au cours du temps et à travers le temps? JPB: J’intègre de plus en plus les comportements de ruse. JPB: Greenspan, ayant permis la bulle de la nouvelle économie, est un expert! IH: Jusqu’à quel degré croyez-vous dans “la concurrence pure et parfaite”? JPB: En théorie, on suppose d’abord que le monde est parfait, puis on le regarde! CR: Et “la main invisible” des marchés? JPB: Les GAFA sont à la fois visibles et très favorables à la concurrence. BB: Jusqu’à quel degré les confrontations économiques sont-elles d’ordre naturel ? Jusqu’à quel degré le résultat d’une guerre économique? Ou une guerre des monnaies? JPB: La concurrence est partout, une force à contrôler. CR: En 2015 vous avec publié dans “Questions Internationales” un article intitulé «Sortir de l’euro: un spectre ou une menace crédible?». Qu’en est-il aujourd’hui? JPB: L’euro ne permet plus aux monnaies nationales de dévaluer: d’où sa qualité pour les uns, son défaut pour les autres! IH: Est-ce que l’EURO a vraiment que des avantages? JPB: Sans euro, où serions-nous, entre dollar-Trump et Yuan-Xi Jinping? IH: Est-ce que le dessein est enfin achevé? BB: Que pensez-vous de l’idée de maintenir l’EURO en tant que monnaie d’échange et de réintroduire des monnaies nationales? JPB: Une multiplication des taux de change croisés! L’euro serait un peg obligé, ou bien crise. CR: Concernant le métier d’économiste: quel sont les dernières évolutions du métier? JPB: Plus de formalisation et de mesure, ce qui permet d’aider plus que jamais aux choix macro et surtout micro. IH: Quel sera l‘avenir du métier? JPB: Les métiers vont se rapprocher de l’aide à la stratégie et au conseil juridique pour les entreprises. CR: Et face aux intelligences artificielles et le datamining? JPB: C’est exactement la nouvelle entreprise d’aiguilles de Smith! KR: Certaines entreprises ont aujourd’hui un montant de cash supérieur aux banques et lancent leurs propres activités dans le secteur financier. Sommes-nous au tournant de la suprématie des banques de retail? 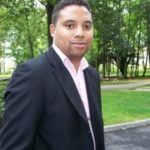 JPB: Oui, les Fintech vont se développer pour offrir des banques sans réseaux, pas chères, aux jeunes, TPE et combler des lacunes de marché. Les conseils de placement vont aussi se dévdelopper, avec notamment du crowdfdunding. La nouveauté vient effectivemet das banques lancées apr Apple, Facebook, avec un réseau immatériel et une notoriété sans égale ! La rentabilité des banques classiques ne pourra que baisser. KR: La France n’aurait-elle pas besoin de fonds d’investissements dit “constructiviste” en vue de challenger le management des sociétés cotées notamment small & mid cap? JPB: Je pense que les small et mid cap sont assez secouées par ce qui se passe ! KR: Les places financières du Middle East sont actuellement dans une optique d’attirer plus de liquidité. Quels sont vos conclusions? Et quels seraient vos conseils? KR: Pensez-vous que l’agriculture en France doit faire face à une consolidation de ses producteurs pour devenir plus efficiente? JPB: Bien sûr, mais il faut aussi gérer la qualité, la sécurité et la diversité. Le bio par exemple se développe. Il ne s’agit pas d’économies d’échelle. PF: Que pensez vous du FCFA? SE: Peut on imaginer des marchés financier totalement 100% automatisés ? Et si oui, la confiance des investisseurs pourrait fortement être entaché… De ce fait, est-ce une avancé ou un pas vers une crise certaine ? SE: Malgré toutes les mauvaises publicités faite sur les cryptos, elles sont toujours présentent aujourd’hui. En regardant de près, le blockchain est un système révolutionnaire. Peut on imaginer un jour un monde dépendant totalement des cryptos ? SE: Les taux américains sont au maximum, le dollar augmente… La Turquie commence à flancher Avec des taux d’intérêt à plus de 15% suivi par l’Afrique du Sud, l’onde de choque commence à se propager dans les pays émergents… Cependant les indices boursiers sont en regain et indolores. Les conflits géopolitique sont pris à la légère par les marchés, sans parler de la hausse du pétrole… Peut-on revoir une second épisode 2008? JPB: Les taux US ne sont pas au maximum. Les marchés se polarisent sur les USA et la Chine. SE: Tous les événements passés (les crises de Trump, le conflit de juillet 2017 entre les USA et la Corée du Nord …) commence à lasser les investisseurs et les marchés en général. La preuve, les conflits au moyen orient impacte tres peu boir absolument pad les marches. Ne risqueront nous pas d’avoir des marchés totalement éloigné de la réalité, basés sur des spéculations et non plus sur l’économie réelle et les résultats d’entreprises ? JPB: Les marchés se polarisent sur les USA et la Chine. HK: Pourquoi la croissance est à vos yeux dans le contexte chinois un supplice? JPB: La Chine doit croître de 6,5% – c’est un engagement politique pluriannuel chiffré du Parti. Elle doit en même temps satisfaire plus la demande interne que l’export, doit donc se réorienter pour des raisons politiques – renforcer le soutien populaire par l’augmentation du niveau de vie – et économiques, sachant que les importateurs, États-Unis en tête, ne sont plus les mêmes. Elle doit aussi revoir la qualité de ses crédits aux entreprises et aux collectivités publiques. C’est une de ses trois « batailles décisives », avec la lutte contre la pollution et celle contre la pauvreté. Enfin, elle veut maintenir le Yuan stable, notamment par rapport au dollar. Ces objectifs seront très difficiles à respecter tous ensemble. D’abord, mettre plus l’accent sur la demande interne, c’est ralentir : fermer et restructurer des usines, réduire la part des entreprises industrielles très productives. Ensuite, mettre en évidence des crédits non performants, c’est inquiéter, faire apparaître des pertes, fermer des unités et utiliser des ressources pour « boucher les trous » – notamment les précieuses réserves. Ajoutons que Donald Trump, avec ses mesures de sanction des exportations chinoises, n’aide pas. Moralité : tenir la croissance chinoise à 6,5% tiendra plus de « l’art chinois de la statistique » que de l’économie. AN: Vous avez mentionné la nécessité de formation en entreprise et à l’école pour les nouvelles technologies, mais cela ne serait il pas encore plus profitable pour les politiques et l’administration dont le retard dans les connaissances économiques et les réalités es tun véritable frein? JPB: Non former à un emploi et aux nouvelles technologies. AN: La hausse des taux d’intérêt: quel impact sur les taux de croissance? La France a pris le train de la croissance en retard, sera t elle touchée plus tardivement? Ou au contraire plus durement du fait de son retard? JPB: La grande question est actuellement si la France aura assez de croissance pour continuer à réformer. C’est le problème: réformer en France est indispensable, après tant d’années d’inaction, mais «consomme» de la croissance, comme du pétrole. Réformer inquiète, suscite des polémiques et des oppositions, rend nerveux, brouille l’horizon. Réformer agite le corps social et politique, emplit les assemblées générales, suscite grèves et manifestations, le tout avant de sentir, puis de voir, les premiers résultats positifs. Ce seront de nouveaux investissements, puis de nouveaux emplois. Après. C’est l’effet Joule, comme disent les physiciens, qui explique ce qui se passe ici, et son risque : il faut l’expliquer, pour le réduire. Une part du mouvement, de la croissance, se perd en chaleur. Chaleur des manifs, grèves, blocages, fatigue des réformes, montée des «à quoi bon» et des «encore deux ans», baisse de la cote de Macron pour demander une pause. Croître plus, c’est pour réformer plus. AN: Quid du paiement de la dette publique? Un moratoire pourra t il être nécessaire? AN: Italie, la hausse du déficit budgétaire ne risque-t-il pas par contagion d’entraîner une hausse des taux sur toute la zone euro? Une baisse de l’euro? Une nouvelle crise de l’Europe? JPB: Attendons avec ce qui se passe. AN: Pensez vous que dans la foulée de la réforme de la SNCF une réforme de la fonction publique pourrait intervenir? Modernisation du statut? Rétablissement des 39 heures? Responsabilisation vis à vis des citoyens? Éventuellement un alignement des salaires vers ceux du privé qui ont fortement baissé ceteris paribus sur les 15 dernières années? JPB: Non pas plus de réformes que ce qui est prévu : la réformes la Constitution est „un gros morceau“. AN: Une incitation à investir du type „René Monory“ (i.e. 5000 francs déduits du revenu imposable) serait il utile actuellement? JPB: Fin de l’ISF, flat tax sur les produits financiers, fin de l’exit tax aujourd’hui: pas mal ! AN: L’immobilier est perçu comme une rente. Le régime qui lui est désormais réservé ne va t il pas pénaliser les revenus des retraités qui ont investi sur le long terme en prévision de leurs retraites? AN: Cela ne risque t il pas d’aggraver une situation déjà difficile pour se loger? Et ne risque-t-on pas de se retrouver dans la situation des années 40 et 50 où le moratoire de l’entre deux guerres avait provoqué une forte pénurie, aggravée par la loi de 48 et le retour brutal des citoyens français des départements d’Algérie? AN: Faudrait il définitivement abandonner les 35h et réduire les congés pour abaisser le coût du travail? AN: Quel serait l’âge de la retraite idéal pour l’équilibre des comptes? JPB: L‘âge n‘est pas le seule élément. AN: Faut-il abaisser le smic comme l’ont fait de nombreux pays européens qui se sont redressés ou est-ce tabou, faute de courage politique? JPB: La politique du SMIC n’est pas celle-là : former, et aussi attendre des politiques plus coopératives en zone euro ! Par construction une politique nationale ne peut tout faire ! AN: Le résultat de l’élection en Italie, et d’autres en Europe, ne traduit il pas un écart de perception et de souhaits entre les électeurs et la classe politique qui pourrait conduire aux prochaines élections européennes de 2019 à un changement radical avec des incidences économiques majeures (euro, déficits…)? JPB: Nous n’avons pas de théorie économique de la croissance en zone euro, autrement dit l’inverse de l‘ordo-libéralime ! Pas la rigueur, pas la dépense publique, mais une politique plus cohérente dans l’ensemble. Autrement, les tensions vont monter! HK: Concernant les Investissements Socialement Responsables (ISR): Jusqu’à quel degré la Finance peut-elle être verte? JPB: L’ISR, le verte, l’économie circulaire, la réduction des déchets… sont des valeurs sociales croissantes, sinon dominantes. Pour embaucher les meilleurs, motiver, convaincre les clients et don la bourse, la finance doit être verte, mais intelligemment ! HK: Est-ce du Marketing ou un véritable relais de croissance pour l’économie ? JPB: C’est très profond : aucune entreprise ne peut se développer hors des mégatrends sociaux. Au contraire, il faut les revendiquer et y répondre mieux que les autres ! HK: Quels seront les impacts du changement climatique sur l’économie et la finance? Il-y-en-aura-t-il? JPB: Bien sûr : être plus efficace du point de vue de l’énergie, innover dans ce sens… ce n’est pas une question de prix du pétrole, mais de valeurs sociales. Celles des jeunes, mais pas seulement ! HK: Que pensez-vous de la politique industrielle du Japon? JPB: Elle est très liée à une démographie en baisse, à une population vieillisante et en baisse, qui n’accepte pas d‘immigration. Don la Chine l‘achètera ! PF: Quelle politique économique est-ce que vous conseillez à Bruxelles ? JPB: d’avoir une politique de puissance économique mondiale, pas seulement de marché : politique industrielle, politique de protection (cyberguerre, dépenses militaires…). Il ne s’agit pas seulement de gérer un déficit public dans ce monde violent ! L’activité ralentit, L’euro pèse, La pénurie de main d’œuvre qualifiée se fait sentir, Les tensions inflationnistes montent. L’euro pèse – sur les exportations. Les prévisions d’emploi ralentissent, peut-être en liaison avec l’idée que les capacités de production sont déjà sous tension, et qu’il vaudrait mieux, alors, modérer le rythme d’embauche en attendant d’en savoir plus sur la conjoncture. Les tensions inflationnistes montent donc : matières premières et salaires. « Les prix payés comme les tarifs continuent d’augmenter à des rythmes quasiment inégalés au cours des 7 dernières années », note ainsi Markit. Certes, les perspectives restent bien orientées, mais quand même en repli. C’est le prix à payer de programmes d’investissements modérés dans la période passée, même si les taux étaient bas, et de formations insuffisantes, alors que le besoin de main-d’œuvre qualifiée ne peut qu’augmenter. Au total la croissance se poursuit en zone euro, mais elle peut buter plus vite que prévu sur ses limites de production, humaine et technique, ce qui ferait remonter l’inflation et rater une vraie augmentation de la croissance. Le ralentissement actuel est un signal de poursuite des efforts, surtout pas de freinage : notre économie est basse de plafond, il faut le relever. PF: Quelle est votre analyse des relations transatlantiques à l‘heure actuelle? JPB: Les Etats-Unis prennent un risque énorme, pour eux et pour le monde. Se protéger n’est pas être protectionniste. PF: Quelle politique économique l’UE doit mener face aux USA? JPB: Evidemment il faut être plus forts et plus unis au sein de la zone euro, avec une vraie stratégie. Nous nous divisons et perdons de vue l’essentiel ! PF: Comment traiter la question des disparités économiques des membres de l’UE? JPB: Aujourd’hui c’est traiter la question italienne, soutenir la formation et l’innovation au sein de la zone avec des champions mondiaux, et accepter sous condition des transferts. PF: Quelle cible d’inflation pour l’UE? JPB: La logique américaine inflation chômage est à creuser : l“Allemagnen est en plein emploi et l’inflation de la zone à 1,1% ! PF: Face à la Chine? JPB: Sans plus d’unification, nous serons seulement un marché et les meilleures unités leur seront vendues (plus aux US). PF: Et face à l‘Afrique? JPB: là encore aucune stratégie d’envergure ! BB: Que pensez vous de la politique de la Banque Centrale Européene? Quelle est votre avis sur le „quantitative easing“? JPB: Que faire d’autre, après ce qu’a fait la Fed ? EK: Que pensez vous du role du FMI dans la politique internationale? Est enfin son dessin achevé? JPB: Le FMI doit toujours surveiller et prévenir, mais aujourd’hui, il faut qu’il travaille sur la révolution technologique en cours ! BB: Le sauvetage de la Grece a été annoncé à plusieurs reprises. Est-elle maintenant definitivement sauvée? JPB: Encore plus de privatisations et un cadastre ! JNR: A quelle analyse arrivez vous concernant l‘évolution de l‘économie britanique depuis le réferendum? JPB: Que veulent-ils ? S’ils gagnent, la zone euro perd ! Il ne faut pas être naïfs devant ce risque stratégique et inflexibles sur la protection du marché. EK: Mark Carney, gouverneur de la Bank og England a fait savoir que la Banque ne discute pas activement de la façon de renverser le plan de relance de l’assouplissement quantitatif (QE) dans lequel elle a acheté des centaines de milliards de livres d’obligations gouvernementales avec de l’argent. Est-ce alors une discussion „passive“? Quelle est votre avis sur la question? BB: Dette italienne: La Ligue et le Mouvement 5 étoiles revendiquent un geste de la Banque centrale européenne sur la dette du pays. Est-ce si incohérent que ca? JPB: „Un geste“ ne signifie rien, vous le savez. En revanche leurs banques locales sont percluses de mauvais crédits et dovent être soutenues (sous conditions bien sûr) et leurs PME perdent pied, d’où leur faible productivité et croissance. Entre Brexit, Italie, USA, Riussie… il serait temps de s’occuper de l’essentiel! Nabila Mokrani est la fondatrice de Labstorant, une plateforme BtoB de mise en relation entre des entrepreneurs de la restauration. Nabila a été gagnante à un concours pour rejoindre l’incubateur entrepreneurial HEC et est une entrepreneus slasheuse de l’art à l’immobilier. Son expérience en start-up axé bien être et optimisation de ressources immobilières au travail – coworking – lui a donné l’impulsion pour agir en son nom dans la restauration, là où ses parents ont gagné leur indépendance. -Vous avez lancé votre entreprise, Nabila, il y’a 6 mois, d’où vous vient cette idée ? (Ça va faire un an). Mes parents sont hôteliers restaurateurs. Après une carrière dans l’immobilier locatif et commercial et une dernière expérience en tant que directrice commerciale pour un start-up, c’est tout naturellement que j’ai voulu créer ma propre entreprise. J’ai alors racheté les biens de mes parents et décidé de leur faire honneur en partageant l’utilisation de la cuisine du restaurant, mais cette fois-ci de façon organisée et rémunérée. – Qu’est-ce que Labstorant pouvez-vous nous dire en quelques mots son principe ? Labstorant.com est une plateforme de mise en relation entre des –futurs- entrepreneurs de la restauration, alimentation, boisson, à la recherche d’un espace pour produire ou réaliser une test recettes avec des cuisines de restaurants libres ou sous utilisées une partie du temps. Un airbnb de la restauration. – “Avec Labstorant, développez vos cuisines, pas vos m2”; comment peut-on développer nos cuisines avec Labstorant? – À qui s’adressent vos offres ? – Quelle est sa valeur ajoutée ? Qu’est-ce qui la différencie de la concurrence ? -A mon sens, idée novatrice : avez-vous des difficultés par rapport à la concurrence (du style je loue un Airbnb et je fais de la cuisine pour des clients) ou pas du tout ? pportunité de se créer une cuisine centrale en plein Paris. – Choisir un nom idéal pour son entreprise est une tâche loin d’être facile. “Labstorant” est un nom qui accroche, qui est différent et facile à retenir. Alors d’où vient-il ? Et est-ce que ce choix a été simple ? – Comment voyez-vous l’avenir de Labstorant ? -Quelle est votre stratégie d’expansion ? Et est-ce que vous pensez à l’international quand vous pensez à votre entreprise ? Tout à fait. Là où il y a des restaurants et une forte pression immobilière, il y aura Labstorant ! – Qui dit start-up dit difficultés pour des futurs entrepreneurs ou entrepreneuses une astuce ou une prière pour ceux ou celles qui se lanceraient ? Quand on croit et que l’on sait pourquoi on a créé son entreprise (avec une étude de marché pour valider ou ré orienter), rien ne peut nous déstabiliser. – Pour vous qu’est ce qui fait un bon entrepreneur(se) ou un mauvais(e) entrepreneur(se) ? Ses valeurs, son expérience, reconnaitre ses manquements, savoir s’entourer. – Pouvez-vous nous expliquer c’est quoi la station F ? Un coworking géant avec des services de facilitation et de l’animation pour les startups. Bonds & Shares is a participatory non-Profit information platform for, through and by experts in finance and business. “The Disruptors”: What if you owned the world of Artificial Intelligence but had to destroy it? © Copyright by Bonds & Shares 2018. All rights reserved.